for a Waldrich Siegen Grinder. 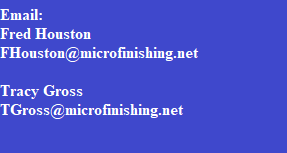 Looking for a custom polishing system? Please give us a call, we will meet or beat most prices. "We don't believe in one model fits all, we make several models to fit your application. You can select from our standard machines to a special retro-fit, or a turn-key design, we will fit your needs!" We are committed to deliver excellence in everything we do. Our staff knows that the only way we can become a successful business is by making you happy. Feel confident that you are receiving exceptional products and services by choosing GRINDING EQUIPMENT & MACHINERY COMPANY, LLC. "We don't just sell you a machine, we become your partner in polishing!" How many other manufacturers can say they still have machines out there polishing after 25 years? GEM can!